There truly is no better way to get into the holiday spirit than by drinking some hot cocoa, curling up on the couch next to your Christmas tree and turning on your iPad to watch halftime shows. Right!?! However, most bands don't get the opportunity to perform around Christmas which means Christmas halftime shows are quite rare. Lately we've seen a few bands decide to dedicate one of their halftime shows to the big holiday. 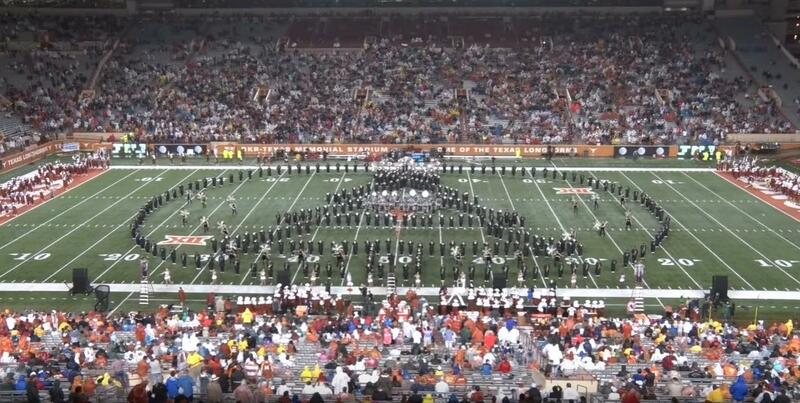 Here's a look at the Texas Tech Goin Band from Raiderland performing their 2015 holiday halftime show.